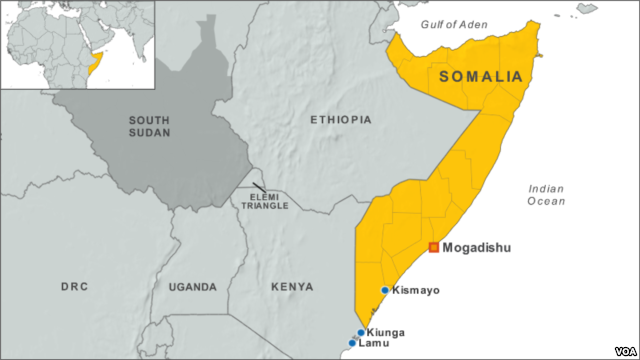 JOHANNESBURG, SOUTH AFRICA — The United States military says it has killed 24 al-Shabab fighters with an airstrike in Somalia. The U.S. Africa Command says the airstrike was carried out on Wednesday near a camp near Shebeeley in the central Hiran region north of the capital, Mogadishu. The U.S. carried out nearly 50 such airstrikes last year in Somalia against the purported al-Qaida-linked al-Shabab. The group claimed responsibility for the deadly attack on a hotel complex in Kenya's capital earlier this month. It often targets high-profile areas of Mogadishu with suicide bombings. The U.S. statement says the airstrikes are meant to support Somalian armed forces as they increase pressure on al-Shabab and its recruiting efforts in the region, especially in southern and central Somalia.